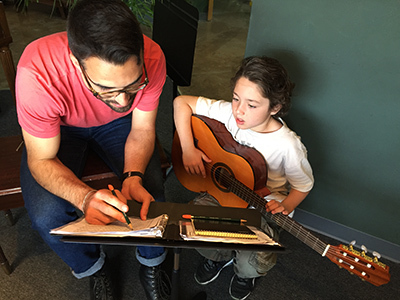 why is music camp an excellent choice for your children? Music camp is a great way to introduce children to playing an instrument and to inspire them into developing a Musical talent they might not know they have. Music camp is also a fun, unique way to introduce children to a lifelong love of music. Sibling Rebate: 10% off every additional child. No previous experience in music is required to join the Beginning Music Camp. When campers arrive, their instructor evaluates them through the daily activities and groups them with students of similar ages and levels. Our staff has years of experience teaching advanced students and complete beginners. Children of all levels and skills will feel at home in our camp. Music Camp session of is $350/week. Aftercare (AM-PM) is $10/hr on the top of the hour.